WordPress is the largest used Content Management System. WordPress help user to create blog websites. Here are few of the free premium travel blog wordpress theme. 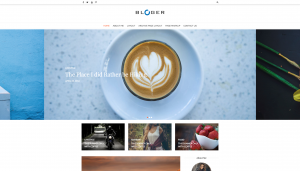 Bloger is free premium wordpress theme. Its two boxed theme which have more options including pinternet feed shown in the bottom. Etisalat is UAE’s own telecom company. It provides free web hosting with business internet connections. As a web designing company we used to recommend people to go with Etisalat hosting for its fast loading service. Its more suitable for small business websites to be hosted with Etisalat. So that your customers from UAE can load your website quickly. If you get your web hosting account with etisalat you can login to etisalat web hosting control panel or can upload your website using your favorite ftp clients like filezilla. You can also upload your website using ftp client.